Wiltja Anangu Secondary College Middle Years students (years 8 to 10) attend Woodville High School. Wiltja relocated to Woodville High School from Ingle Farm High School in 1990. Most students start their time at Wiltja in the Transition class. For more information, see the Transition Class page. After progressing from the Transition class, students will go to some mainstream (host-school) classes with the support of Wiltja staff, as well as having some classes with just Wiltja students and staff. For more information, see the Year 8 to 10 page. If you are interested in finding out more about attending Wiltja Anangu Secondary College, visit the Coming to Wiltja page. For general information or enrolment enquiries, you can find contact details on the contact page. 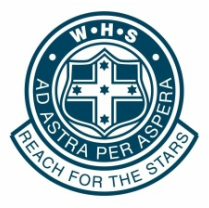 For more information about the host school, visit the WHS website.